Designed for fuel-efficiency and interior comfort, the Honda sedans remain a great choice for all sorts of drivers. These fun, engaging vehicles will appeal to both your head and heart. No matter what your drive requires, the Accord, Insight, Civic, Civic Si, and Clarity Plug-In Hybrid live up to the challenge by delivering good mpg ratings, exciting features, and spacious cabins. Serving Hilo, Kailua-Kona, and beyond, Big Island Honda can’t wait to take you on a walkaround of these fantastic new vehicles at one of our two locations! Honda Civic: Up to 32 mpg city/42 mpg highway* with the optional turbo engine and LL-CVT. Honda Insight: Up to 55 mpg city/49 mpg highway* with inline-4 cylinder engine and Electronic Continuously Variable Transmission (e-CVT). Honda Accord: Up to 30 mpg city/38 mpg highway* with the base engine and CVT and 48 mpg city/48 mpg* highway with optional eCVT. Honda Civic Si: Up to 28 mpg city/38 mpg highway* with the base engine and 6-speed manual. Honda Clarity Plug-In Hybrid: Up to 44 mpg city/40 mpg highway* (gasoline only). No matter the model you choose, you’ll have access to a central display screen that functions like a smartphone or tablet, letting you control Bluetooth handsfree calling, optional HondaLink, optional navigation, and more. Whether you’re commuting to work in Kapaau or gearing up for a hiking trip in Kamuela, your Honda sedan will keep you entertained and connected throughout your journey. Shop Honda Sedans at Big Island Honda in Hilo & Kona Today! If you’re shopping for a fuel-efficient, feature-loaded sedan, compare Honda vs. Toyota for a vehicle that speaks to your needs. 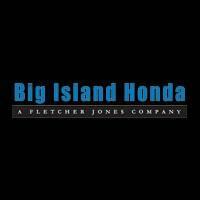 To take your dream Honda sedan for a test drive, contact Big Island Honda in Hilo & Kona! Our friendly Honda experts are available Monday through Saturday. We’re your dependable source for top-notch Honda vehicles on the Big Island, as well as Honda-certified service and parts!